thts a beautiful snap!! but 2 days for wut? Hey, you've not linked the picture, it's not getting enlarged after clicking. Its good to be happy! Stay that way! And hey, I know this place..... isnt this part of that fort near Payambalam beach? I've been there once before! 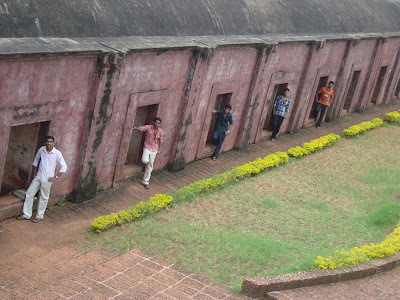 :) :) i hope i stay that way :) and yeah, thats the St. Angelos fort kannur :) nice place right?